The Pascal Jolivet is one of the youngest and most dynamic in the Loire Valley. 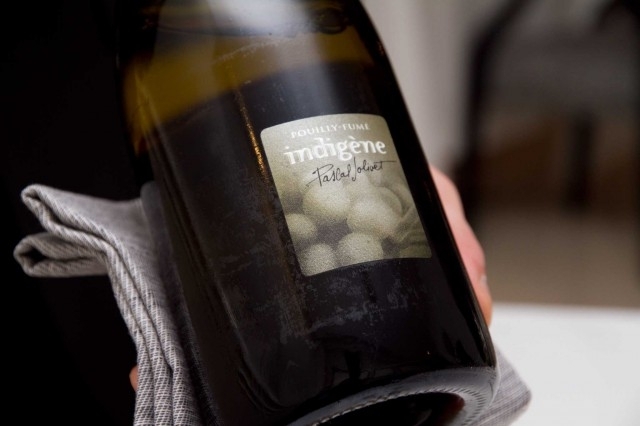 Founded in 1985, this specialist in the wines of Sancerre and Pouilly-Fume has very quickly gained a leading position with Michelin-starred restaurants of France. The vineyards of Sancerre are situated 200 km to the South of Paris on hilly countryside between 200 and 400 meters altitude. The Pascal Jolivet Domaine covers 74.25 acres, with vineyards for the Sancerre appellation close to the villages of Bué, Verdigny and Ste Gemme. The Loire to the East bank and the surrounding forest create a relatively mild micro climate for the vineyards. The philosophy of the estate is to allow nature to take its course, as much as possible. The grape juice is fermented naturally, without adding cultivated yeasts in conjunction with thermoregulation. The wines from each different soil type are fermented separately so to allow the terroir to fully express their differences and similarities. New in our wine collection is the Pascal Jolivet Sancere blanc, The Pascal Jolivet Sancerre rouge and the Pascal Jolivet Sancerre Les Caillottes. All wines of style marked by richness, elegance and smoothness. These wines are powerful and presents a perfect balance.